Trainer Kris Lees has decided to leave the blinkers on talented colt Graff in the G1 Galaxy. Kris Lees thought long and hard about whether to take blinkers off Graff for his Sydney return in the Group One Galaxy and is comfortable with his final decision not to tamper with the colt’s gear. Graff over-raced in blinkers at both his recent runs at Flemington and if Saturday’s race was on a straight course Lees would have taken the shades off. “We decided to leave the blinkers on,” Lees said. “Originally we were going to take them off but it’s a high-pressure race and he’s coming back 100 metres and around a bend. 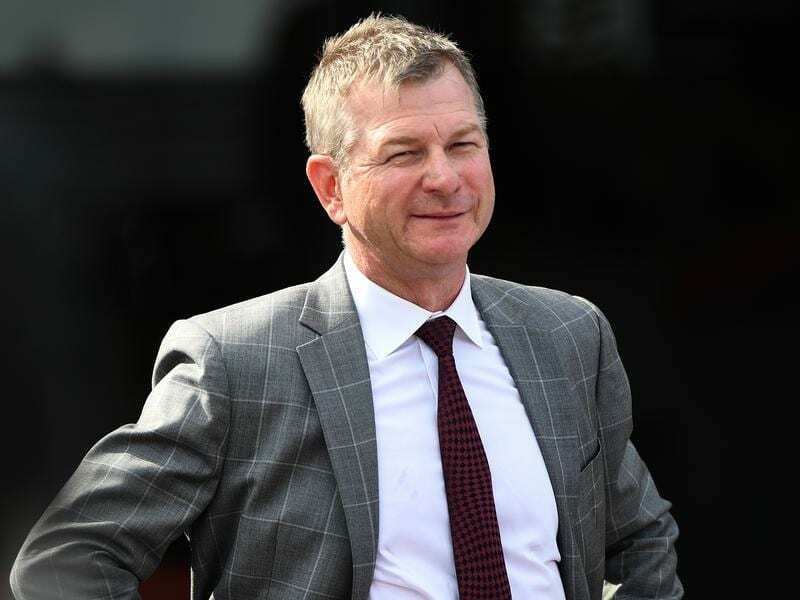 Lees has no doubt Graff’s Group One grounding against older horses in Melbourne will hold the three-year-old in great stead for his assignment against a host of class sprinters in the Galaxy headlined by Redzel, Pierata and Ball Of Muscle. “He’s raced in the two biggest sprint races in the country so he’s up to that level,” Lees said. “He’s come back in good order. He had a solid gallop on Tuesday and I was pleased with his work. Lees is also hoping Saturday’s meeting will give him a clearer guide on his Sydney Cup chances with Big Duke and Doukhan stepping out in the N E Manion Cup (2400m) in a bid to join stablemate Red Cardinal on the two-mile trail. Big Duke won the corresponding race two years ago for then-trainer Darren Weir before going on to claim the Chairman’s Handicap and finish third to Polarisation in the Sydney Cup. “Both runs have been quite good, they just didn’t go quick enough for him at his most recent run but he’s trained on the right way and I expect him to race well,” Lees said.